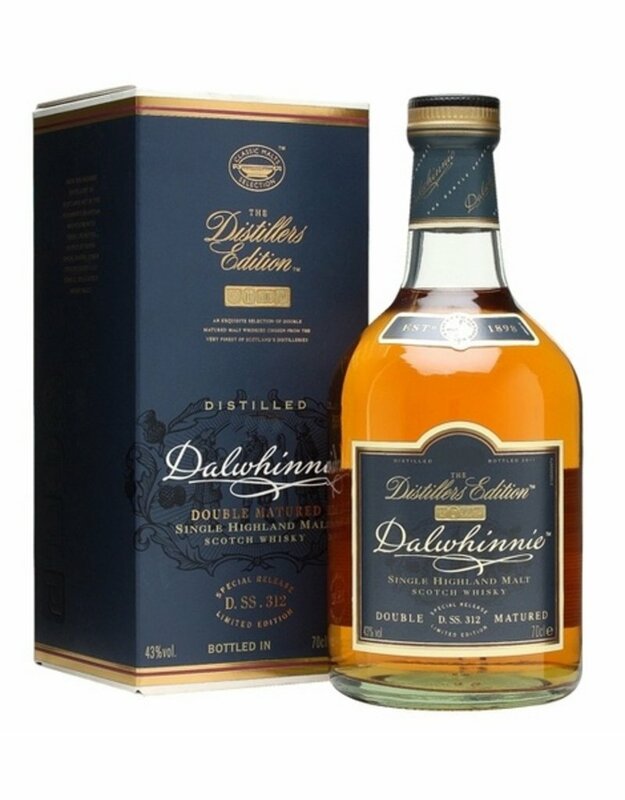 Dalwhinnie Distillers Edition Highland Single Malt Scotch Whisky was distilled before being matured for approximately fifteen years in oak casks. After its initial maturation, the whisky was double-barreled, or finished, for an additional year in casks that were formerly used to mature Oloroso sherry, before it was finally bottled. The whisky has an aroma of fresh orchards, honey and soft spices that open up to notes of malt, sweet grapes, heathered spices and honey on the palate, and lead to a long finish with touches of oak and vanilla.